November 28, 2010 was the date that marked the most fraudulent election polls in Egypt’s history. And exactly one year later, Egypt’s first post-revolution elections will take place. This should be cause for jubilation; sadly however, many of the same concerns that were present last year have led some to consider boycotting the upcoming elections. In my opinion, this would be a mistake. 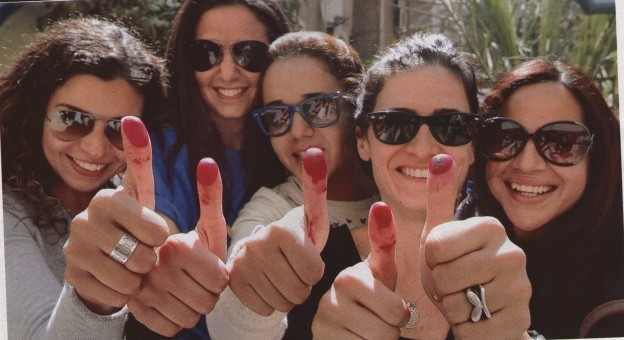 Indeed if the University and Syndicate elections are any guide, the two factions that are expected to win the most votes are the Islamists and affiliates of Mubarak’s National Democratic Party (NDP) running mainly as independents. In less than a year the army council (SCAF), entrusted with supervising Egypt’s transition towards self-rule, has convicted more civilians before military tribunals than in the thirty years of Mubarak’s rule. Those jailed included many pro-democracy demonstrators as well as prominent activists that have been a public face of the revolution. The army has also reenacted Mubarak’s emergency law as well as clamped down on independent media. It can hardly be surprising that many are calling into question the whole point of participating in elections, fearing they would lend democratic legitimacy to an oppressive regime. But how effective are election boycotts in general, and what, if anything, justifies opting out of the democratic process? Theoretically speaking, boycotting may be used as a form of political protest where voters feel that electoral fraud is likely, or that the electoral system is biased against its candidates, or that the polity organizing the election lacks legitimacy. One could argue that the current situation in Egypt meets all the prerequisites. The supervising bodies that took part in last year’s fraud haven’t been purged; the current system is biased favoring larger, more resourceful and more organized candidates. The military council has not sought public approval to ratify the legitimacy of any of its controversial electoral laws. It is most certainly a dismal situation. Academics argue that election boycotts have rarely been effective. Boycotts, at best, undermine the legitimacy of an election but not its final result. And as illegitimate as these results may be perceived, they are often accepted. We’ve already seen this happen this year in the National referendum for Egypt’s constitutional amendments which many reckon was a charade but nevertheless endorsed. The fact that other voters contribute to the outcome, makes annulling the result seem unfair. But while in the case of a referendum, a boycott may be a valid tactic if the referendum requires a minimum turnout to be valid, it isn’t the same with general elections. Lack of participation can further distort election results leaving the boycotting groups susceptible to political irrelevance. The truth is the electoral process is one of the most effective government tools in achieving conflict resolution and when unfair, one of the most effective tools in suppressing opposition. Collective decisions are sanctioned regardless of election turnout. If we look at the general elections in Jamaica of 1983, widely believed to be the most successful election boycott in history, the consequences are anything but successful. The boycott was called for by the main opposition party, the People’s National Party, and voter turnout was a historical low of 2.7%. The turnout rate was inconsequential. It allowed their rivals to win all seats in the House of Representatives, with their leader continuing as Prime Minister for seven years. If after reading this, you still feel you cannot engage in sham elections under the current circumstances, you are completely justified to abstain from voting, but on a personal level. However, it would be wrong to call on others to boycott, believing this will achieve anything. It won’t! Better to rally people to demonstrate the current injustice, at least that may have an effect. Therefore, in my opinion, we should all head to the polling stations this month. We should unite and create a list of candidates that we will vote for. And for those of you that believe that conferring democratic legitimacy to an oppressive regime means complacency… January 25 comes once every year, you know. Egypt is sorely in need of international observers to ensure that these elections are legitimate. One essential component of democracy is the idea that you don’t always get what you want. Democratic living becomes less about winning elections and more about how to lose gracefully. The ability to lose gracefully but still remain engaged in the political process is what gives legitimacy to the democratic culture and mind set necessary for a pluralistic society. Furthermore, any power gained through elections ought to be used to contest fraudulent elections, if suspected, and can be used to affect future outcomes by remaining engaged as a champion of human rights and justice, thereby, improving visibility and leadership in the eyes of the population and building a broad constituency. I would boycott if it would be effective to fight overthrown NDP’s candidates ‘felol’ but it doesn’t seem the right plan! So currently I’m with voting not boycotting to help protect our voices and as a try to win this battle and take it from the overthrown regime who is badly dying for trying to come back and topping the authority once again!! In my opinion boycotting is never effective if it’s not a complete boycott, if we can guarantee that all & everyone of us with boycott so the authorities has no choice other than canceling the useless elections because merely no voices participated… so I’m with voting until another plan comes up to prove to be more effective than voting..